Photo courtesy of thecovertwo.com. After Chris Johnson (pictured above) went on a temper tantrum via Twitter, Tennessee showed him the big bucks. Chris Johnson has been begging Tennessee to show him the money for some time now. And finally, they have caved. Tennessee decided to open up their checkbook in a big way and show Chris Johnson the money. It seems like any time push comes to shove in the NFL, a deal gets done (except in Cincinnati). Last year, Darrelle Revis was still unsigned until the final week before the season. This off-season, a new CBA was agreed upon just in the nick of time ensuring that a full preseason (outside of the Hall of Fame Game) would be played. 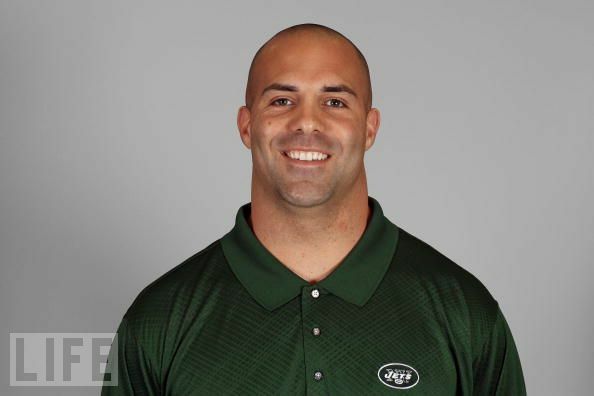 New York Jets Strength Coach, Sal Alosi (pictured above), has been making headlines all over the country for a tripping incident in Sunday's game vs the Dolphins. Should the man be fired? What a Tuesday afternoon it is. Talk about a wild past 24 hours in the sporting world. You got major free agent signings. The end of the “streak.” A thriller in Texas where the Texans once again broke Houston’s heart. And I could go on. Here is a look at some of today’s main headlines. So Cliff Lee will be a member of the Philadelphia Phillies, again. Rumors of the 5 year, 120 million dollar deal circulated like wild-fire last evening over the internet and Twitter world. Even amid this wild and major news, Sportscenter still managed to have their first 20+ minutes pertain to Brett Favre and the infamous “Streak.” Sorry, but I felt that the Cliff Lee deal was bigger news in my eyes. Anyways though, I will admit that I was at first surprised that the outstanding hurler did not decide to take his talents to the Big Apple. After missing out on Lebron this summer, surely the city that never sleeps would at least land Lee right?..WRONG! The Yankees hurt themselves on this one. They even had Lee’s good friend CC Sabathia on the staff to help them out. This time it was not the organization’s ineptitude. 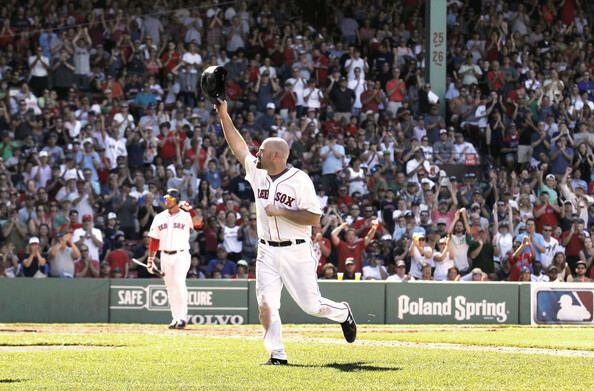 It was the loud mouth Yankee fans who ruined it this time. Mistreat a man’s wife, as the Yankee fans did during the playoffs, good luck getting a guy to come play for you. Men listen to their wives for some reason which still baffles my mind. Do you think Lee’s wife wanted him to play in New York to a place where fans heckled her? Not a chance. Treat people the way you want to be treated. One of the ultimate rules in life. The Ravens were absolutely steamrolling the Texans last night in front of a sold out Reliant Stadium crowd. Baltimore sure did not look like a team playing on the road. Then Andre Johnson scored just before the half, and the Texans caught fire. Following an amazing 21 point comeback though, the Texans as usual, came up just short. This has become a growing trend for this Houston team. They are extremely talented on both sides of the ball, but especially on offense. How is a team that has Matt Schaub at QB, Andre Johnson, Jacoby Jones, and Kevin Walter at receivers, plus Arian Foster at RB not going to the make the playoffs. Ask Gary Kubiak. After winning 8 games 2 consecutive years and then 9 last year, this was supposed to be the year where this team got over the hump and finally made the playoffs. Sadly, this will not be the year. I am beginning to think the Texans are the NFL’s version of the Atlanta Hawks. A team that is very entertaining to watch with a bundle of talent, but just can’t quite get over the hump. Now sure Atlanta has made the playoffs, but making the playoffs in the NBA is equivalent to going 8 and 8 and just missing the postseason in the NFL. Which of these two franchises will take the next step first? I truly have no idea. –Maybe I took some Roids before the game.. Jets Strength Coach, Sal Alosi had to have been on steroids. There had to be something off. I have never heard of a coach doing something so blatantly dumb and getting caught. In a year where player safety has been something that has been at the forefront of the entire NFL front office, this guy goes out of his way to trip an on the field player while on the sidelines? Sure $25,000 is a decent size fine for a guy whose salary cannot possibly be much more than $50,000. But tell me the Jets are going to fire this guy? Integrity and character are keys to any job. Or at least they should be. This guy was lacking the moral fiber on Sunday. I hope this was just a one time action. Could it have been roid rage? Either way, guy should be fired without question. So the Maverick’s winning streak finally came to an end at 12. The Knicks have still won 8 in a row. The Heat have won 9. And the Celtics have won 10. Which of these teams are going to fall first? Well I do know that both Miami and Boston travel to MSG this week. The C’s come Wednesday to the Big Apple and the Heat come on Friday. So somebody is bound to lose. I do know though that all 3 of these teams have looked outstanding as of late. The Celtics look to be the team to beat in the East. While the Heat are finally figuring out how to play together. And the Knicks are probably playing above their actual abilities, but are doing a great job in getting the city excited and making themselves much more marketable to the Melo’s and CP3’s of the world. So there you have a look into some of the main topics going on in the Wide World of Sports on this Tuesday afternoon. Seize the day and watch some sports. 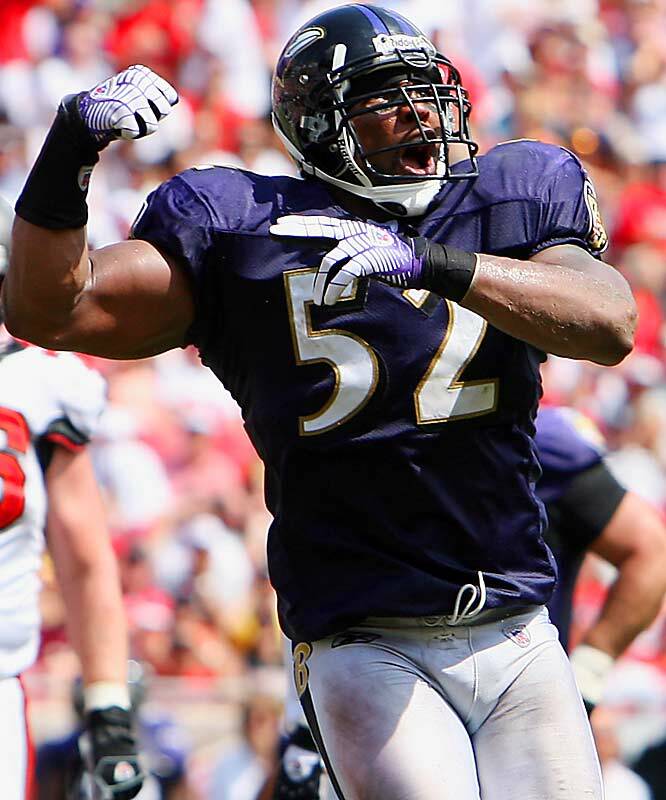 Future Hall of Fame Linebacker, Ray Lewis (pictured above), looks to lead his Ravens to a big time road victory over bitter divisional rival, Pittsburgh. After this week, most teams will be done with a fourth of the games already. Boy does time fly by. But this is the time of year where many of the pretenders start to get weeded out and the contenders show that they are in fact the real deal. There are 3 teams that are currently still undefeated. Those teams are the Chicago Bears, the Kansas City Chiefs, and the Pittsburgh Steelers. I have none of these teams making the playoffs and they are truly demonstrating how amazing the parity in the NFL can be. 49ers at Falcons: An underachieving San Francisco team versus an Atlanta team that is flying high after a big win over the defending champs. Conventional wisdon would say to pick the Falcons in this one. The Falcons have ridden a phenomenal offense, that features one of the game’s best rushing attacks to first place in the NFC South. The 49ers have been very Dr. Jekyll and Mr. Hyde like, showing glimpses of a playoff caliber team at times. If this game was on the west coast, I will give the 49ers a chance. The 49ers were the “it” pick in the NFC West. Sadly they will fall to 0 and 4 with a 10 point loss to the Falcons. Bengals at Browns: The Battle of Ohio. Always a fun game where the stats get thrown out the window. The Cincinnati offense has looked anemic and many have been calling for a quarterback change, or at least, re-evaluation. Fortunately for Cincinnati, they are taking on a Cleveland team that is winless for a reason. They have not gotten the job done from an offensive or defensive standpoint. Well the Who Deys have owned this series throughout the Marvin Lewis era and I expect a similar outcome on Sunday. Look for the Bengals to move to 3 and 1 with a 13 point victory against an overmatched Cleveland squad. Jets at Bills: I will admit the Bills surprised me with their effort against New England last week. They showed some guts and even dare I say, moxy (whatever that is). But it will not be enough against arguably the best team in the AFC. The Jet’s stats are misleading due to a horrible offensive performance in Week 1. Mark Sanchez is finally starting to look more comfortable out there as is the Jets rushing attack. And good luck to Buffalo in putting up points against these outstanding Jet’s defense whether Revis plays or not. Buffalo sports the worst overall offense in the League thus far for a reason. Look for the Jets to run away with this one on the road by 13. Seahawks at Rams: Two teams that each pulled off surprise victories in Week 3. Seattle has looked very solid in 2 of their 3 games, while St. Louis appeared to finally awake from a preseason hangover against the Redskins. Do I think either of these teams are serious playoff contenders? Not really. But anybody has a shot in the very weak NFC West, that the Seahawks are currently leading. Neither of these teams rank too well offensively or defensively from a stats standpoint. But I see the Seahawks demonstrating some poise down the stretch and following the lead of their veteran Matt Hassleback to their 3rd victory of the season. It will be close, but a costly Bradford interception down the stretch will help Seattle prevail by 3 on the road. Broncos at Titans: An underachieving Broncos team heads to the music city to take on a Tennessee team that has had 2 awesome games, and one against Pittsburgh that they would like to forget. Though Denver has been solid against the run this year, it will not be enough to stop Chris Johnson and Co. Look for CJ to be the difference in this game as Tennessee saves face at home with a 7 points victory. Lions at Packers: The Try’n Lions head to Lambeau to take on the Cheeseheads. The Packers are coming off of a heartbreaking Monday Night loss to their bitter rival, Chicago. I feel bad for Detroit is all I have to say. I would not want to play arguably the most talented team in the League, coming off of a loss on the road. Though Detroit has had a legitimate chance to win 2 of their 3 games, they have not faced off with a team that has an offense like Green Bay. The Lions have one of the worst defenses in the League and struggle to stop the run or pass. Look for Aaron Rodgers to light up the scoreboard as the Packers come out with a vengeance. This one will be a laugher with the Packers coming out on top by 17. Ravens at Steelers: One of the best rivalries in football here. The Edgar Allen Poes head to Heinz Field looking to gain back a throne that many expected them to hold atop the AFC North. The Steelers have shocked everyone, including myself, by starting out 3 and 0 without Big Ben. This Steelers’s team has looked solid, living on their phenomenal defensive unit. Pittsburgh’s offensive unit may be ranked dead last in the NFL, but they are also 1 of only 3 undefeated teams heading into Week 4. The big question mark for a Baltimore team that many expect to possibly win the AFC was their cornerback position. Well the Ravens are the top rated team against the pass in the NFL. So they are doing something right. I see Joe Flacco continuing to demonstrate his ability to make big plays with Anquan Boldin, as the Ravens steal a very close one on the road. The Ravens will have just a little bit more offensive firepower in this matchup of two of the game’s best defensive units. I got the Ravens by 1. Panthers at Saints: Sorry Carolina. Things are about to get worst as you head to Bourbon Street. This is a similar scenario to which the Lions find themselves in this week. Playing a very talented team coming off of their first loss of the season on the road. Good luck. Drew Brees and the Saints, even though their offense is ReggieBushless, will put up some numbers. And their defense will feast on whatever young quarterback Carolina puts out there. New Orleans may not possess a running game, but their aerial attack is one of the best in the game. Carolina corners better make plays when opportunities are presented to them, unlike they did last week, or this game will be over fast. I got the Saints by 14 at home. Colts at Jaguars: Peyton Manning heads down to Jacksonville. The Jags have looked terrible since Week 1. And they have a major issue in this matchup. They do not stop the pass. And they are going up against Peyton Manning, possibly the greatest pocket passer of all time. Pick your poison in this one. All directions put to the Jaguars losing a game that shouldn’t even be close to Indy. I got the Colts by 10 in this one. Texans at Raiders: Houston finally got their wake up call. The Cowboys took Houston “Back to life, back to reality.” Well this week, they come back to a good reality. As they match up with a pretty abysmal Oakland team. Now I will admit Oakland’s D has been pretty solid so far. But they also have not faced top-tier offenses like Houston has. If Oakland clogs the run, look for Andre Johnson and Matt Schaub to hook up early and often. If Oakland decides to not stack 8 in the box, look for Arian Foster to have a field day. Either way, Oakland does not possess the horses to score enough points to keep up with the Texans exciting offensive attack. I got Houston by 13 on the road. Redskins at Eagles: This is quite possibly the most exciting matchup of the week. Mentor vs Mentee. Speed vs speed. Righty vs Lefty. You name it, the VickNabb show will be fun to watch. Sadly for Washington though, they do not possess the overall team yet to compete with an Eagles squad that has gelled very quickly. Now when these two teams match up again on Monday Night Football in November, it will be a completely different story. But Donovan and this offense have not clicked in any way yet, and will not be able to put up enough points to support a defense that will struggle all day to contain the most athletic player in football. It will be close, but I got the Eagles by 6 at home. Cardinals at Chargers: Two teams that have surprised for different reasons are matchup up in San Diego. The Cardinals are an unexpected 2 and 1, while the Chargers have surprised many with a rough 1 and 2 start. Well the Chargers always start off the year slow. This is a pick me up game where they get the ball going. Look for Phillip Rivers to put up some big numbers and lead San Diego to a much-needed victory at home. This will begin a winning streak for the Chargers as they head into a very easy stretch on their schedule. Chargers by 7 in this one. Bears at Giants: Da Bears looked awesome Monday Night. The Giants on the other hand continued to disappoint and show their lack of consistency. I got the Bears behind their phenomenal run defense taking care of business on the road and moving to 4 and 0. Eli will have to have a big day in the air for the Giants to have any prayer. And I just do not see it happening this week. Bears by 6 on the road. Patriots at Dolphins: What a great Monday Night Game folks. Two bitter divisional rivals, looking to make an early statement. These are two very different teams. New England lives and dies on their vaunted aerial attack which features Tom Brady, Randy Moss, and Wes Welker. The Dolphins really survive on a very solid defense led by Jason Allen and Yeremiah Bell. Monday Night Football Games are very tough to predict in that the underdog commonly walks away the victor. But for some reason, I expect Brady, who always performs well on the big stage, to lead the Patriots to a huge divisional victory by 1 on the road. Patriots by 1. There is a distinct possibility that there could be 5 winless teams left in the NFL after week 4. Will those teams fight for a win to avoid the embarrassment of being winless? Also, there are some upset opportunities with the Raiders and Bills looking to shock some teams that are considered on their way to the elite class. Should be an interesting week to watch. Falcons over 49ers by 3- If we are following a trend here it is time for San Fran to play well this week. Even if they do, they will still have to overcome a good-looking Atlanta team at home. I take the chances of the Falcons playing well over the chance of San Fran coming out like they did against the Saints. Packers over Lions by 10- Green Bay should trample the Lions at Lambeau. The Pack has proved that their D is strong and they will eliminate the mistakes made last week against Da Bears. Best should be in the line-up this week but he will be limited by the backers in green and yellow. Jets over Bills by 8- I want to say the Bills are going to upset the Jets after competing with the Pats last week but I don’t think it is going to happen. The one way it could happen is if the Bills can pressure Sanchize. Again, I don’t think this will happen but I would love to see the J E T S go down this week to a 0-3 team. Rams over Seahawks by 5- Seahawks have lost the last 16 of 19 on the road. Rams are energized this year with Bradford running the show. Look for them to impress the home crowd. Titans over Broncos by 3- Chris Johnson is scary but so is Denver’s #1 passing offense. Kyle Orton can have a big day against the Titan’s secondary starting a rookie in place of an injured corner. I still have to go with the Titans because in the NFL you still have to be able to run the ball and the Broncos have too much trouble on the ground. Steelers over Ravens by 1- Everyone knows that this will be a low scoring SLUGFEST. If you do not like defense, do not watch this game but you will see some of the hardest hits all season during this game. Steelers take this round at home in this fight. Colts over Jags by 7- These two seem to play each other tough. In their last 5 match-ups the winning team has won by 7 points or less. This one swings in favor of the Colts with Peyton’s boys clicking. Texans over Raiders by 10- The Raiders will prove to be a big match-up problem for Houston. With the Best corner in the league limiting Andre the Giant to 5 catches and 94 yards in their last three meetings, the Texans will need to find another way to get the job done. Either Houston clicks and blows through Oakland or they lose in an upset caused by one the NFL’s top defenses. Chargers over Cardinals by 7- Phillip Rivers and Antonio Gates. As long as these two are still on the field Sunday, San Diego will win the game. Eagles over Redskins by 6- Michael Vick. Bears over Gmen by 9- The Bears offense is catching up to its D. The Giants lost last week at home, look for it to happen again with a pass happy Bears team rolling into town. Don’t kick it to Devin Hester, Gmen. Then maybe you have a chance. Patriots over Dolphins by 3- Another Monday night thriller is ahead of us with an emerging team taking on the perennial Goliath in the division. The Patriots offense will be too difficult to stop and they will disappoint Miami fans who think they can hang in the division. Sorry Dolphins, you’re number 3, the first two spots are taken. So there you have both my and CV3’s picks. A lot of very good matchups mixed in with some very lopsided looking affairs. But the NFL is always unpredictable and fun. Upsets are inevitable. It is very hard to pick which ones they will be. 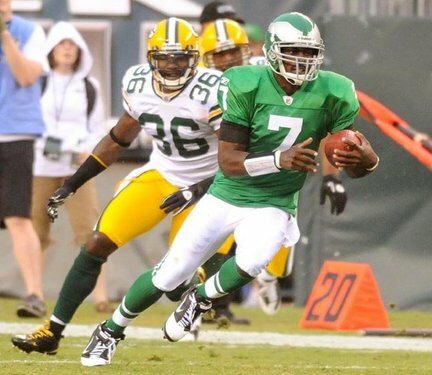 It appears Michael Vick (pictured above), may be starting his first game since 2006 on Sunday. Does he still have the amazing athleticism that once made him the real "Human Highlight Reel?" One week of the 17 week grind that is the NFL Regular Season has been completed. Now we enter Week 2. There is a little bit less mysteriousness to each squad. There is a bit more familiarity and film to see what lays ahead. But still, there are a ton of question marks. A ton of teams looking to prove that Week 1 was a fluke, or for those teams that played well, that Week 1 was not a fluke. Once again I go head to head with CV3 on picks. Steelers at Titans: The Steelers proved me wrong last week. But this week they are on the road with their young 3rd string quarterback in Dennis Dixon. Not to mention they go up against the most dangerous running back in the NFL Chris Johnson. Look for this to be a very competitive game, but expect CJ to be the game’s determining factor. Titans by 3. Dolphins at Vikings: You think that Brett Favre and the Vikings like losing? Now the Dolphins are a solid team, but you have to like Minnesota in their home opener. The Vikings are a great all around team, that even though they played pretty awful in their opener, they were still in a position to beat the defending champs on the road. Chad Henne, the former Wolverine, will struggle on the road against the outstanding pass rush of the very tough Viking’s defensive line. Brandon Marshall, will have to make a couple of highlight reel plays to keep the boys from Miami in the game. Though I think this game will be competitive most of the way, I got the Vikings by 10 at home. Cardinals at Falcons: Arizona is flying high after a big week one win at St. Louis. Well not really. They struggled against one of football’s worst teams and looked out of sorts for much of the game. Other than a great 2nd quarter, and the phenomenal play of Steve Breaston, this team did not look like a team ready to make the playoffs for a 3rd consecutive year. The Falcons on the other hand, nearly came away with a victory in Pittsburgh on Sunday. And though their offense only mustered up 9 points, they were going against a whole different animal in the Steeler’s defense. Look for Matt Ryan to connect with Roddy White early and often, and look for Michael Turner to have a big day on the ground. I got the Falcons running away with this one by 13. Ravens at Bengals: This may be the marquee matchup of the weekend. Two major AFC contenders and divisional rivals going head to head. The Ravens surprised many with a major Monday Night win in New York. While the Bengals shot their load in a bad loss to the New England Patriots. This is a whole new week. And expect to see a different Bengals defense, plus more of the offense you witnessed in the 2nd half of last week’s contest. In the Marvin Lewis/Carson Palmer era, the Bengals are 9 and 5 against the Edgar Allen Poe Bad Boy Ravens. I will state this though. If the Bengals play like they did in the first half of last week’s game even for a quarter, the Ravens will throw the knockout punch early. But I expect Mike Zimmer’s defense to play big time smash mouth defense, and Palmer’s offense to have a big day. I got the Bengals by 3 in a nail biter. Chiefs at Browns: Can you say Jamaal Charles? Teams have a history of big days on the ground versus the Browns over the years. Well this game will be no different. And though the Browns sport the best return man in football, Josh Cribbs, the Chiefs are not too shabby themselves with rookie Dexter McCluster. The Chiefs were a team that I said would surprise people this year and sneak their way to a pretty solid season. They definitely turned some heads last week with a major upset victory over San Diego. Look for the Chiefs to be 2 and 0 at the end of Sunday. I got KC by 9 over Cleveland. Bears at Cowboys: Da Bears verse America’s team. No big deal right? Wrong. Both of these teams have a lot to prove after weak performances in Week 1. The Bears escaped against the Lions on a very controversial call. I will state that I thought it was a completed pass to Calvin Johnson. And the Cowboys helped the Redskins shock the world. By beating themselves. This week will be different. Jerry Jones, will not let another team full of big time talent, choke away the season already. Look for the Cowboys to come out with a vengeance and expect Miles Austin to have another big day. Cowboys by 13 running away with this one. Eagles at Lions: Michael Vick to start again? I feel like it is 2006 all over again. Talk about a time warp. Well both of these teams surprised many with their Week 1 performances. Though the Lions have weapons with guys like Calvin Johnson and Jahvid Best. Without their former number 1 draft pick, quarterback Matt Stafford (injured), the Tryin Lions will not get to taste victory for the first time this season. I got Michael Vick leading the Eagles to a 3 point victory in Detroit. Bills at Packers: Buffalo heads to Cheesehead Country. Well it will not be a pleasant visit. This is the game that I feel could end up with the most lopsided outcome of this week’s batch of contests. The Bills are one of the worst teams in football in my eyes, while the Packers are perhaps the most well-rounded. 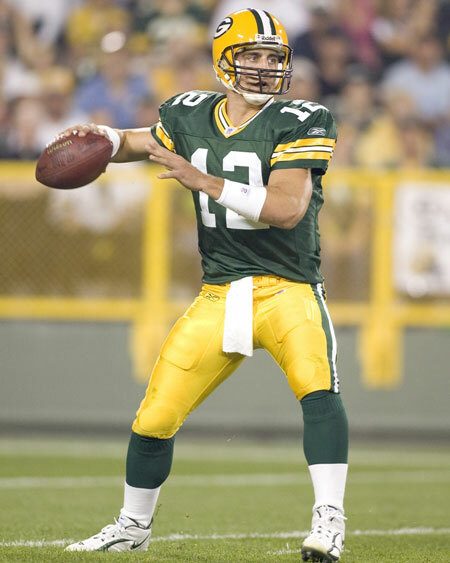 Look for Aaron Rodgers to make up for last week’s 2 interceptions with a 4 TD performance. Green Bay get excited, as your boys begin the year 2 and 0. I got Green Bay by 17. Buccaneers at Panthers: Neither of these teams looked great in their openers. Tampa escaped against a weak Cleveland team, while the Panthers were torched by the G Men. This game will be close from the start, with two teams that are towards the bottom tier of the League. At least we may get to see former Notre Dame big shot, Jimmy Clausen, start his first game in the NFL. Believe me, it won’t matter. Buccaneers by 6 in a matchup of two bottom feeders. Seahawks at Broncos: Seattle may have pulled off the biggest surprise of Week 1. They absolutely killed the hot pick in the NFC West, the 49ers, relentlessly. Matt Hassleback demonstrated great management skills at the QB position, while defensive back, Marcus Trufant, led the D to an outstanding performance. The Broncos on the other hand, surprised many including myself, with a tough loss to the Jaguars. 2 key turnovers killed them last week, and could once again hurt them this week. Kyle Orton threw for nearly 300 yards, going to Brandon Lloyd and Eddie Royals with a great frequency. Well the Seattle defense is much tougher than Jacksonville’s, or at least they looked like it last week. I got the Seahawks continuing to surprise and moving to 2 and 0 with a 6 point victory in Denver. Rams at Raiders: This is a matchup that I could never tune into unless forced. Two of the worst teams in the NFL going head to head. There is really nothing appealing about this one in any way unless you are a Rams or Raiders fan. I think the difference in this one will be Jason Campbell’s mediocre, yet steady play at quarterback. I got the Raiders by 3 at home in a game that I do not recommend watching unless you are a fan of either squad. Texans at Redskins: Arian Foster, the story of Week 1, takes the Texan’s show to Washington. The way Houston was able to run the ball last week, and the passing attack we know they posses could cause major problems for Washington (or anybody for that matter). Though Washington pulled off perhaps the 2nd biggest upset of Week 1 over America’s team, the Texans destroyed a very tough Colts team. Look for Matt Schaub, Arian Foster, and Andre Johnson to stay hot in this one. Texans by 10 in D.C.
Patriots at Jets: This is a great matchup. The AFC East favorites locking horns already? Can the Jets recover from last week’s embarrassing offensive performance on Monday Night? Can the Patriots continue to play outstanding? My brain is telling me to pick the Pats in this one, but I got the Jets. Sanchez must wake up to give his team a chance though. The Jets tenacious defense will force Randy Moss onto Revis Island, and the Jets will win this thriller by 1 point. Jaguars at Chargers: Both of these teams surprised in Week 1. The Jaguars surprised with a win, while the Chargers surprised with a loss. Well, do not expect San Diego to fall to 0 and 2. Especially since they are at home in this game. Norv Turner has led this team to the playoffs every year he has been with them for a reason. They have a tradition of starting slow, having started under 500 through their first 5 games for 3 straight years. But they will take care of business this week. I got SD by 7 at home. Giants at Colts: I feel bad for the G Men coming off a big time performance last week. They are now facing an angry Colt’s team. And you know what that means? An angry and motivated Peyton Manning. Not what you want to hear as an opponent. Though the Giants are a very good team, good luck in going into Lucas Oil and knocking off Peyton’s Colts coming off of a loss. I got the Colts by 10 in this one. Saints at 49ers: Two popular picks to bring home their respective divisions. Though I believe the 49ers are much better than what they showed last week, they are playing the defending champs on Prime Time now. Drew Brees, fresh off his debut appearance on the hit television show “Entourage” thrives on the big stage. Sorry San Fran. An 0 and 2 start will not be the end to your season in a weak NFC West by any means. Saints by 9 in this one. FALCONS over Cardinals by 6- Look for the Falcons offense to have a much better week after facing off with the Steelers. Both teams are playing at a similar level but the home field advantage and Falcon D should be enough to edge the Falcons over the Cardinals. EAGLES over Lions by 14- No Stafford, no win. PACKERS over Bills by 10- Packers will roll at home with their offense, even without Ryan Grant. Look for the back-up Brandon Jackson to have a good day. Packers will be one of the teams with an early season winning streak. Browns over Chiefs by 3- The Chiefs didn’t produce a whole lot when you look at the stats last week. The Browns can match the Chiefs on special teams and defense so I think the Browns have the edge if Delhomme plays. If not it is up in the air with two similar teams. Cowboys over Bears by 10- The Boys should be embarrassed by their performance against the Skins last week. Jerry Jones will not let that happen in Jerry World. Look for the Cowboys to gel on offense and win a shootout against Jay Cutler and Mike Martz. Vikings over Dolphins by 6- Vikings are hungry for the W after a repeat loss to the Saints. They are playing at home and they will most likely stick to the run, as opposed to last week. AP should have a decent day with at least 2 TD’s in this one. 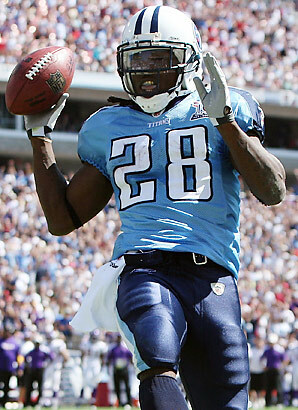 Titans over Steelers by 3- The Steeler’s D will not allow Chris Johnson to run all over them. I believe he will get to 100 yards but it will take about 25 carries. This should be another low scoring one with a good Steeler’s D and a stagnant Steeler’s offense. Unless for some reason DD comes alive the Titans offense will prevail. Broncos over Seahawks by 8- The Broncos will have a good offensive showing in this one. Last week the Seahawks shut down a poor offense that has trouble throwing the ball. This week Orton will pick through their D with a lot of short “West-Coast” style passes. The Seahawks are on the rise but will take a loss in this one. Panthers over Buccos by 6- I don’t believe either team will be close to the playoffs but I give the advantage to the Panthers in this one solely on the home field advantage. Last week the home teams won 75% of the games. Raiders over Rams by 1- These two are pretty evenly matched but again I give it to the home team. I think Bradford will show flashes of a future star but he will fall short again in this one. The Raiders offense should get a boost if Michael Bush is able to play this week. He is a big bruiser that will open up the game for McFadden. Plus if the Raiders are going to win a few games this season you would think St. Louis would one of the few they will beat. Patriots over Jets by 10- This one will not be very close. The Jets coaching staff showed that Mark Sanchez clearly isn’t ready for the big time game yet. They had no confidence in him and limited him to the short game. The short game is what the Patriots are best at. The Jets D has taken a big hit looking Jenkins and I don’t think they will be able to hang with the Patriot’s high-flying offense that resembles 2007 already. Jags over Chargers by 3- Last week the Chargers showed that something is clearly off in their organization. I doubt it is a quick fix. The Jags just saw the mighty Colts go down and have some extra motivation now that they realize the Colts can be beat. Unless Rivers can rally his team, the Chargers will struggle again. Texans over Redskins by 9- WOW… This Texans team is scary! I wouldn’t want to play ‘em. Colts over Giants by 7- Big brother will show why he is still big brother in this one. Peyton is at home and they are angry. He will not miss a beat in this one. Look for a three or four touchdown performance by him in this one. Little Eli will have to wait another year before he gets to take down big bro. Saints over 49ers by a lot- Hmm… the tough 49er’s D was not so tough against the Seahawks. I think we know what will happen in this one. The defending champs will show why they are the defending champs. Bengals over Ravens by 5- I do not have much faith in Bratkowski but if he comes out flat (not using the no huddle) then he should be fired. He should have been gone a while ago but Mr. Brown won’t let that happen. If he cannot recognize how effective that offense was last week (in the no huddle) then he deserves no spot in the NFL. Everyone knows what the Raven’s D is capable of but their offense is not very productive. The Bengals are angry and ready to react (not think) on defense. Playing at home against a division rival, I’m taking the Bengals in this one. Can I begin to catch up to CV3 this week? Feel free to post your picks in the comments and see how you stack up.